25+ users: Please call +61 8 6263 9100 or or fill out the form. A representative will be in touch to discuss the best option for you and your organisation. For packages larger than 25 users, please call +61 8 6263 9100 or email subscriptions@aspermont.com to discuss your options. 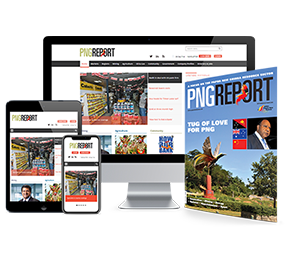 PNGReport.com is a business news service focusing on the PNG resources sector and related industries in the country and wider region. PNGReport.com provides commercially-valuable insight into and interpretation of resource sector developments in PNG and surrounding countries, with a particular focus on the mining and energy industries. Subscribers receive the latest news directly to their inbox every Monday, Wednesday and Friday, plus a market wrap outlining the performance of listed resource sector companies with a specific interest in PNG each Friday. PNG Report Magazine provides a more in-depth look at business in PNG. Beyond the resources sector it also looks at government and policy as well as a range of important industries including forestry, fisheries, shipping and retail. For the resources sector it provides regular company profiles and reports on key developments through well-researched features and analysis. Published bi-monthly and widely distributed throughout PNG it has become an important part of the media landscape and a valuable source of essential information for business, investors and policy makers. Request a multi-user subscription for more than 25 users for your organisation.